Marcy Anderson, local Edgewater Artist in Motion (EAIM) member, has been selected for a second year to paint a Horse of Honor. Marcy’s decorated horse will be displayed on Michigan Avenue with other local and international artist and then later auctioned to raise money for police officer’s who are killed in the line of duty or who are catastrophically injured. The foundation gives money to families of fallen officers, supplying college funds for their children and helping pay rehabilitation for officers who survive injuries. 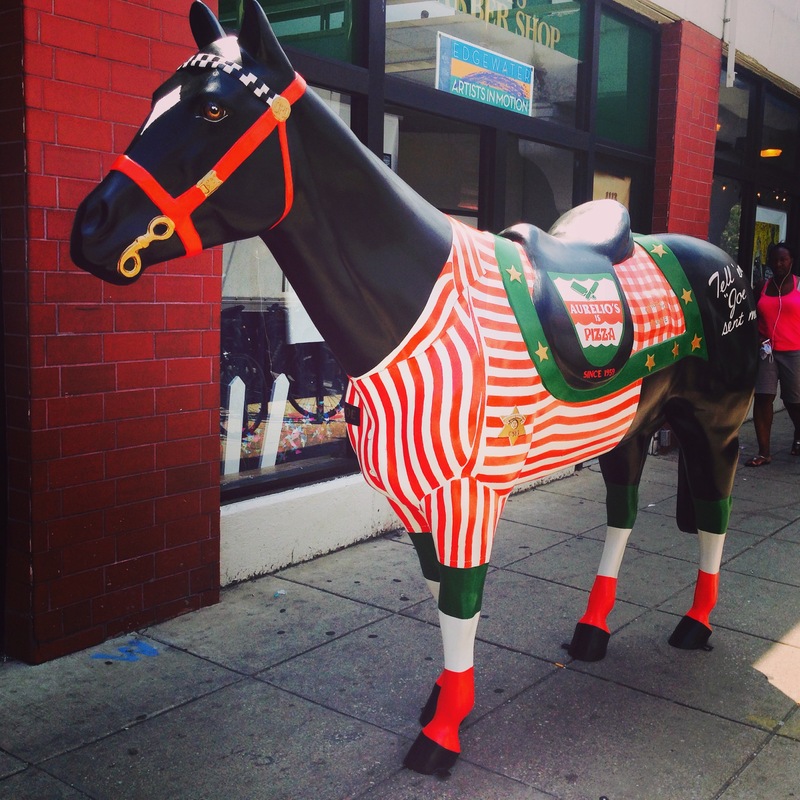 Marcy’s Horse of Honor has already been spoken for by Aurelio’s Pizza at Michigan and Roosevelt. EAIM is the artist group that maintains art by local artists in vacant storefronts in and around Edgewater. Marcy painted her horse at the Bryn Mawr Redline CTA station window.